Compact, significant ground clearance, ample cargo space, first-in-class versatility. Say hello to the 2019 Subaru Crosstrek. The Subaru Crosstrek is a mini crossover built on Subaru’s new Global Platform, which offers 70-percent more rigidity. The Crosstrek is a perfect combination of sophistication and style, while also providing optimum safety and durability. 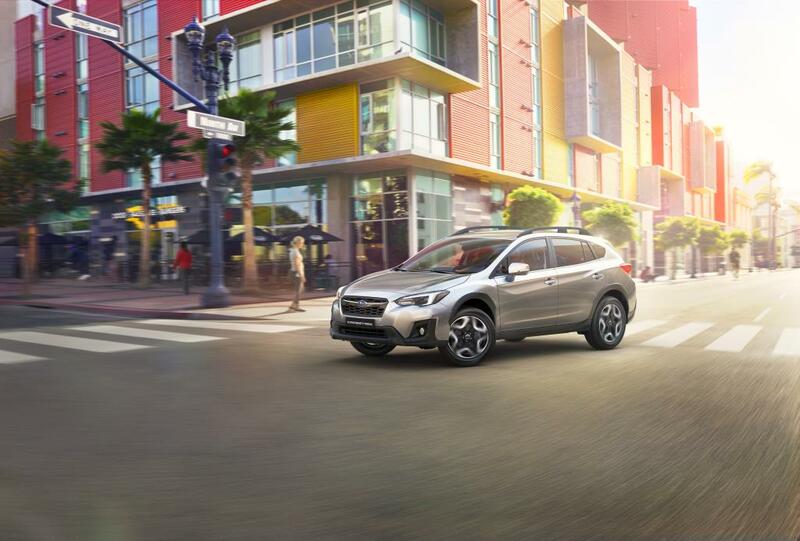 With incredible fuel efficiency and an affordable starting price, the 2019 Subaru Crosstrek will bring the best value to the table. The 2019 Subaru Crosstrek is a vehicle that provides both comfort and support, while also winning you major style points. You will always want to be the driver when carpooling, as the driver’s seat has six-way power. Our interior design is simple. Real leather stitched across the seats, gives this model a simple, but classic look. When viewing the console, two state-of-the-art display screens are a stunning highlight to the front console. The main 8.0-inch multitouch display runs Subaru’s Starlink UI while offering a clear and sharp viewing experience with contemporary-looking graphics, mainly used for GPS and entertainment purposes. The second display sits between the front of the dashboard and windshield, which provides a clear viewing experience while allowing your eyes to focus on the road. This screen allows the driver to be able to view the song they are listening to, the street they are driving on, mileage settings, interior and exterior temperatures, time, fan setting, and then some. Hundreds of options, two user-friendly, high definition screens. The 2019 Subaru Crosstrek will provide the best value, as it has been created using top of the line engineering. In keeping with classic Subaru tradition, the Crosstrek uses the SUBARU BOXER engine. With an improved design, the 2019 model uses a four-cylinder system, capable of cranking out 152hp and 145lb-ft of torque. Combined with all-wheel drive, advanced engineering allows for an overall safe and smooth performance. The 2019 Subaru Crosstrek provides a simple style, with modern technological advances– making it a purchase that will ensure optimal value. For more information on why the 2019 Subaru Crosstrek will provide you with the best value, book a test drive at Subaru Niagara today.